On January 29th, we invite you to support our men and women in blue. On this day, we will recognize the daily protection these men and women give to employees, patients and all of those who walk through our doors. Join us, as we wear BLUE to show our appreciation and support. In addition to wearing blue, we invite you to wear the PATCH. 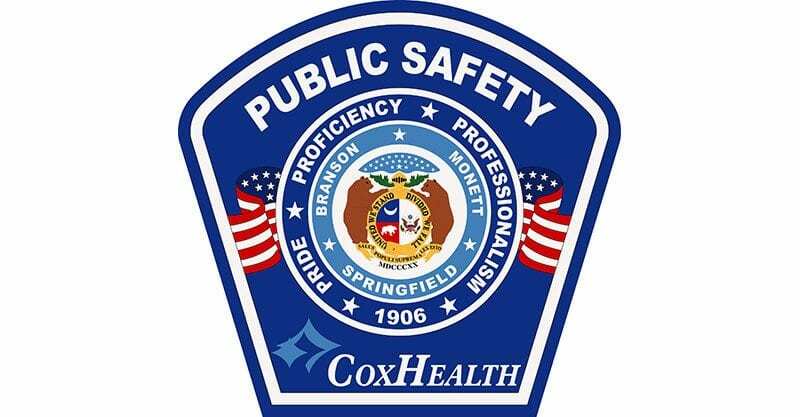 Pins displaying the CoxHealth Security patch are available for purchase in the 1906 store and on the Foundation website. Pins can be mailed to any CoxHealth location – just in time to wear it proudly on January 29th. All proceeds from the sale of pins will go to support the Monte Ruby Scholarship fund, named for the CoxHealth security officer who gave his life in the line of duty. The fund will help provide scholarships for security personnel to participate in the Drury Law Enforcement training program. Pins are $5 each and can be mailed inner office. Questions? Call the Foundation at 269-7150.